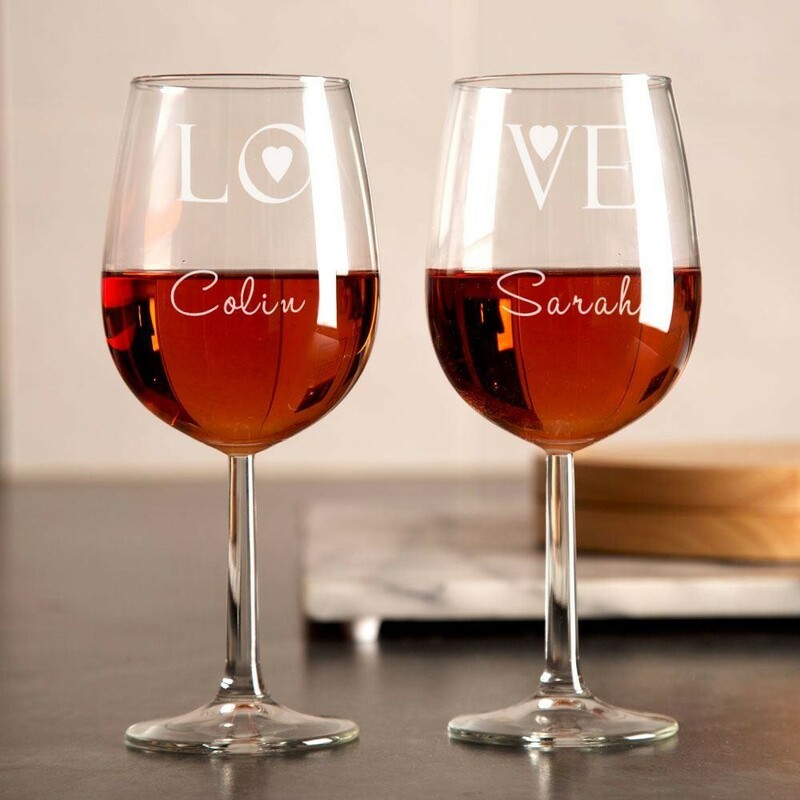 Love is in the air...and in the wine with our beautiful double set of glasses! 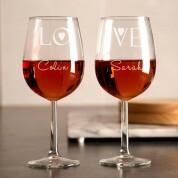 The design on the two glasses sets them apart as a wonderful keepsake gift. 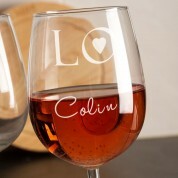 Each glass is personalised with one of the couple's names – which are laser engraved along with the rest of the design. 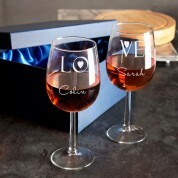 The first glass features “LO” and the second “VE”, to spell out love when they're placed together. They are a fantastic addition to any happy couple's home! The modern and personal design makes them suited as a gift for any special occasion, such as their wedding day or anniversary. A silk lined presentation box is included with the set of wine glasses.